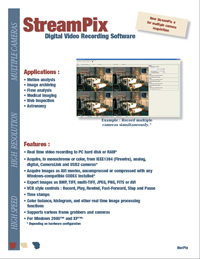 StreamPix digital video capture software provides the ability to capture live digital video at up to 100+ frames-per-second. Video can be captured un-compressed or compressed directly to your PC’s RAM or hard-drive from USB2.0, Firewire, or PCI digital camera systems. 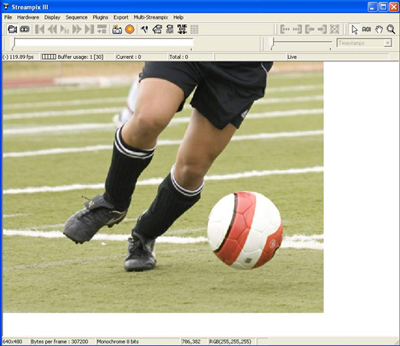 The time stamp tool makes frame-by-frame review easily accomplished. Excellent tool for engineering, failure analysis, and instructional videos.